Sweden's Security Service has warned of a risk of a new Islamist terrorist attack in the country in 2018. Despite repeated warnings from the nation's leading terror expert of jihadists operating freely, Stockholm's anti-terror preparations have mostly revolved around concrete lions serving as roadblocks. Sweden's Security Police SÄPO reinstated the terror threat level to "elevated," citing the high risk of a repeat terrorist attack against the country by Islamists. 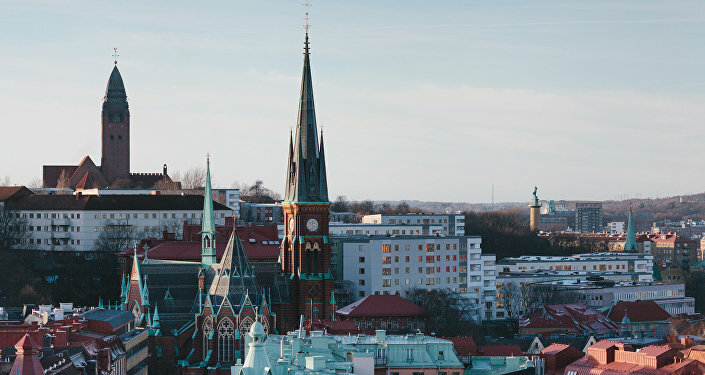 The increased threat level is based on data from the National Center for Terrorism Threat Assessment (NCT), which includes SÄPO, the National Defense Radio Establishment (FRA) and Military Intelligence and Security Service (MUST). This corresponds to three on a five-degree scale, a level Sweden has had since the failed terrorist attack in Stockholm in December 2010. "This means that there is a risk of a terrorist attack," SÄPO chief Anders Thornberg told the Metro newspaper, venturing that violent Islamist extremism posed the greatest threat, in which an individual resorts to simple yet deadly means to carry out the attack, as was the case of the Stockholm truck attack in April 2017. Meanwhile, Sweden's leading terrorism researcher Magnus Ranstorp of the National Defense College argued that groups spreading jihadist messages face almost no resistance in Sweden. "Today they can seem to operate completely unrestrained," Ranstorp told the newspaper Aftonbladet. According to Ranstorp radicalization amid the return of Sweden's "foreign fighters" who joined Daesh (ISIS/ISIL) remains a major cause of concern. Ranstorp argued that Sweden's prevention efforts to stop the dissemination of the extremist agenda have been "too bad." "It is spread by groups seeking to limit women's rights and freedoms. It is they who promote anti-democratic and violent messages," Ranstorp said, citing mosques and Quran schools that promote extremist agenda. He also ventured that they undermine integration by disrupting individuals' contact with the majority community. A 2017 SÄPO report identified 2,000 Islamist extremists in Sweden, which also generated some 300 jihadists to the Middle East. Ranstorp ventured that Sweden's lenient take on extremism led to further segregation and the spread of violence, calling for a clearer emphasis on preventive action. 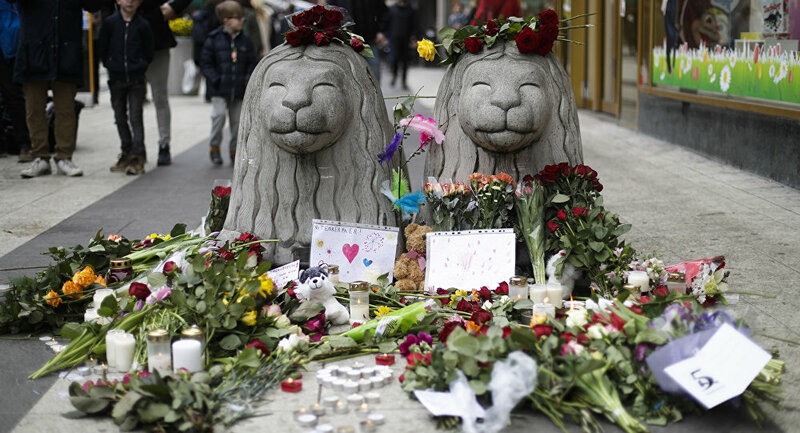 Following the Stockholm attack, however, the city council has installed 17 concrete lions on the Drottningsgatan pedestrian street, where the deadly attack occurred. In 2018, Stockholm City will place another 80 lions, equally distributed as males and females, as roadblocks to prevent vehicular terrorism. After criticism that the lions were too flimsy, there are also plans to procure some bigger ones — three times larger and heavier than existing ones, the Mitt i news outlet reported.